As always when merging such a long-living branch where I have been dwelling for about a year or so almost feels like saying farewell to an old friend. Though, until we have sorted out some infrastructure for running OpenTripPlanner, you would have to use the debug environment variable OTP_BASE_URL (or modify the service file) as I have described in earlier blog posts. Another feature that I intend to squeeze in before we release 3.24 is the ability to reverse routes. 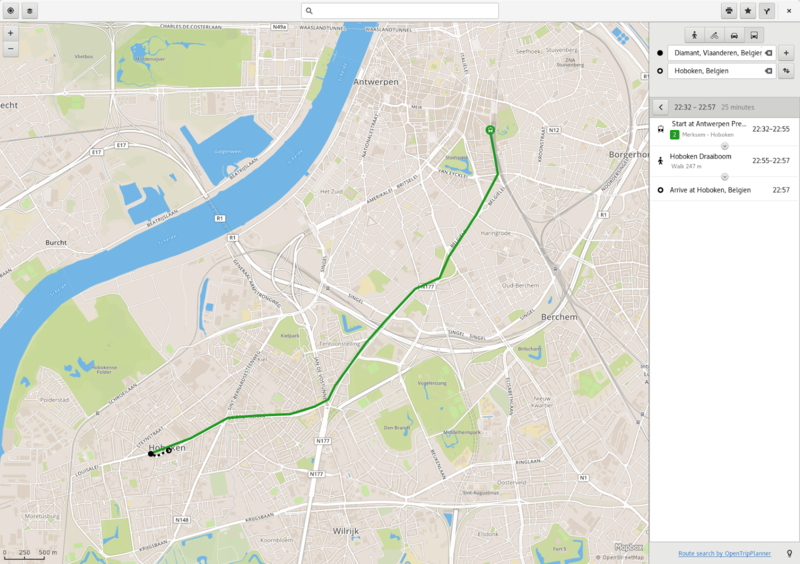 This is something that came up during Andreas' user interviews, one user had a use-case of going into town to meet up with friends and finding a suitable route home later in the evening. I realized our current UI is a bit awkward for this (even though you can drag and drop the entered places/addresses). On Friday I'm leaving for Brussels and FOSDEM! 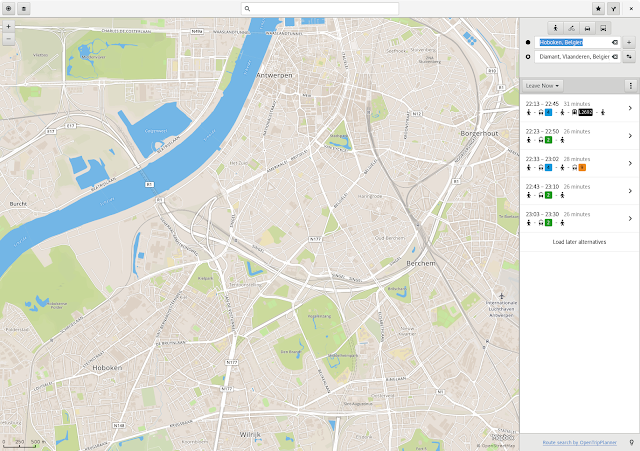 When it comes to Maps, I also have some good news. Just in time for FOSDEM I have managed to set up a temporary OpenTripPlanner server instance for the event so that people can test things out with the transit-routing branch. Beware that this server is not behind an HTTPS proxy (which should be the case for a real server, so that the user´s activity isn´t leaked to a potential third party). As before, use the OTP_BASE_URL environment variable (or use a modified service file as described in an earlier post). The server is currently loaded with transit data for the whole of Belgium. 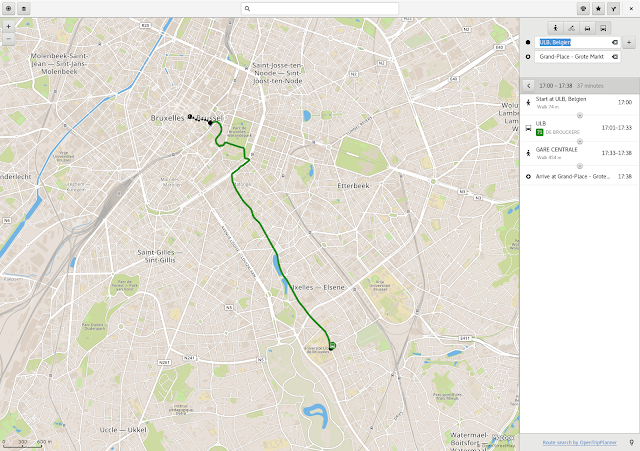 A little screenshot showing a plausible trip from ULB to Grand Place after on Saturday afternoon. And last, but not least I would like to thank my employer PrimeKey Solutions AB for sponsoring my trip and http://www.update.uu.se for kindly letting me run the demo server on their hardware.